Dwight Small, professor emeritus at Westmont and a well-known author on Christian marriage, passed away Sept. 21, 2003, at the age of 84. Born and raised in Oakland, Dwight was a third generation Californian. He graduated from UC Berkeley, where he met his wife, Ruth Elizabeth Stone. They married in 1942, and he graduated from San Francisco Seminary in 1943. Dwight pastored churches in California as well as Philadelphia and Cicero, Ill., and spoke frequently at conferences. Teaching a class at Wheaton College on marriage helped inspire him to become an author and a professor. He also taught at Fuller Seminary before joining the faculty at Westmont in 1970. 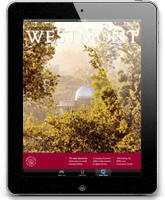 To get him to Westmont, the administration drew from three separate budgets to piece together a job description that included working as interim chaplain, teaching sociology and serving as a counselor in the counseling center. When Dean Tom Byron died, Dwight became interim dean of students. He also served on the Faculty Senate. He retired in 1982 due to health problems but continued writing. 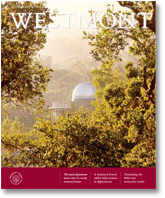 The Small family has a four-generation Westmont affiliation. Benjamin Small, Dwight’s father, came to Westmont in 1945 when the college moved from Los Angeles and served in college advancement to help establish the program. Dwight’s sister-in-law, Marjorie Petersen, served as a member of the Westmont Board of Trustees. Dwight’s daughters, Lynne Tahmisian ’67 and Shay Cudworth Peck ’69, both graduated from Westmont, as did his grandson, Tim Tahmisian ’97. Dwight’s family and friends remember him for his love and encouragement, his delightful sense of humor and his passion for the Word of God and its message of grace. According to his daughter Lynne, Dwight fought a lifelong battle with diabetes, enduring many surgeries and hospitalizations with bright confidence that the Lord would be his strength.